We’ve had to forfeit some creature comforts (space, king bed, enclosed yard for dogs) in order to RV, but we’re discovering others while traveling. Hot towels after a shower is one of the newest. 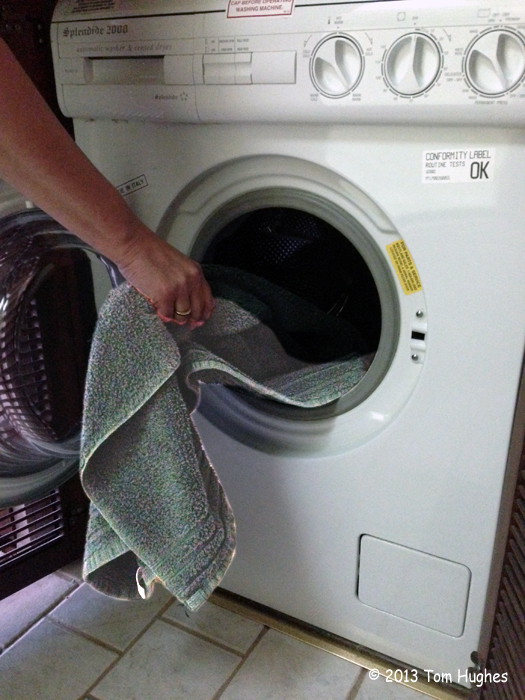 Because our tiny Splendide washer/dryer is near the shower, we now throw our towel in the Splendide before showering. The towel is dry when we put it in so it really heats up. Hot towel after a shower. Nirvana. NEXT STOP: Starved Rock State Park.